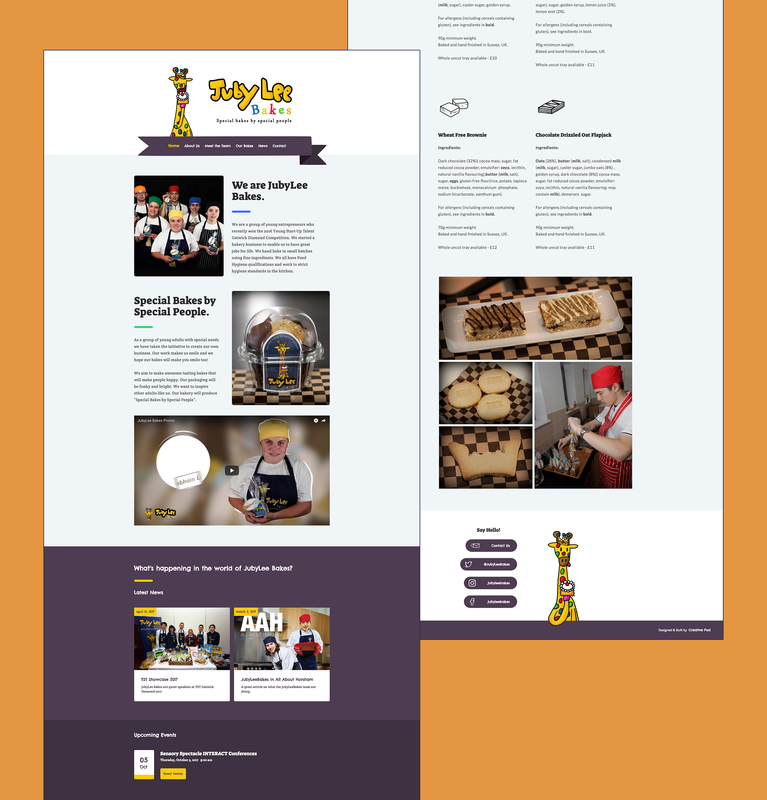 We worked closely with the entire team at JubyLee Bakes to deliver a clean yet fun website displaying their products and the talented team behind them. JubyLee Bakes, are a group of young adults with special needs who took the initiative to start their own baking business. With the aim of inspiring other young adults like them, their mission was simply to make awesome tasting bakes that make people happy! 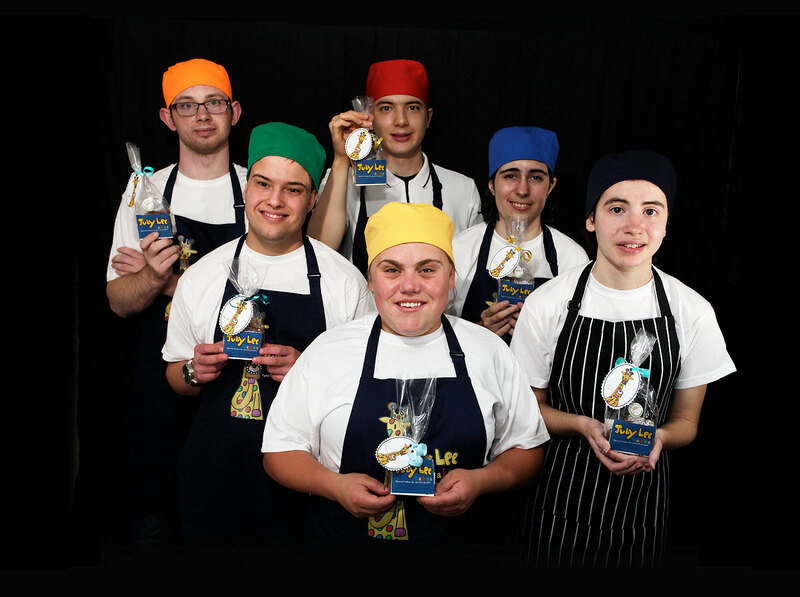 To help take their business to the next level, they entered 2016’s Young Start Up Talent Gatwick Diamond Competition, with the concept of producing “Special bakes by Special people”. The judges were so impressed by their passion and business acumen, that they took the crown as the winner of Young Start Up Talent 2016. As part of their £50,000 prize, they also received a whole new rebrand and website from Creative Pod. The requirement here, as a new business initiative, was to create JubyLee Bakes’ a brand identity, which could convey their vision and represent their passion for baking. They needed somewhere they could tell their story, show off their product news and updates and most importantly drive new business enquiries. Through a series of creative workshops with the JubyLee Bakes team (which very handily included a talented illustrator!) we developed a concept which centred around the giraffe mascot. Using a mixture of photography, illustrations and graphics, we created a visual and engaging website which brought JubyLee Bakes to life. To help further convey JubyLee Bakes' personality, the website content was also given a fresh unique take. With areas such as 'The team' utilising a hand drawing from each of the team, which flicked up when users hovered over a team member’s bio. Whilst a big aim for us was to promote JubyLee Bake’s personality, we also wanted to ensure we helped drive web traffic and new business enquiries for JubyLee Bakes. As such the team built a blog and media section, which JubyLee Bakes could use to share regular content through, to help attract people to visit their site. Whilst the enquiry form, (possibly the most important section of all) was built as the focal points of the website, directing users to ‘say hello!’ and enquire about some of their delicious cakes! Now one year later, JubyLee Bakes are going from strength to strength and receive hundreds of enquiries through their contact form of people interested in their products.